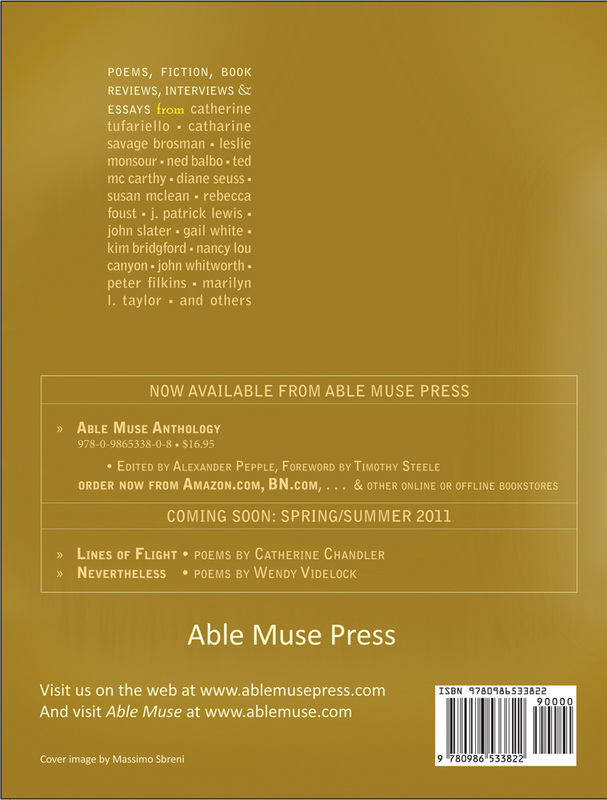 This is the much anticipated inaugural print edition of Able Muse Review. 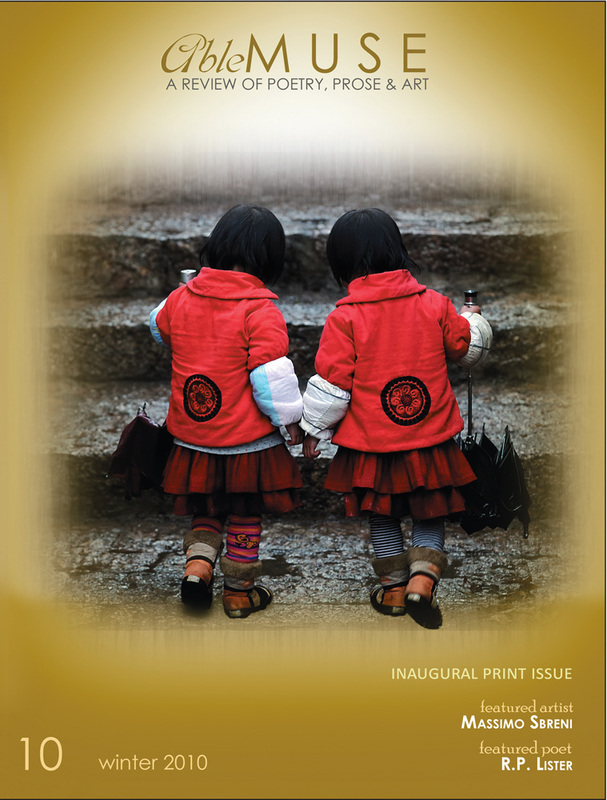 It’s an issue filled with the usual masterfully crafted poetry, fiction, essays, art & photography, and book reviews that have become synonymous with the Able Muse. Thus, after more than a decade of online publishing excellence, Able Muse begins a bold new chapter with this print edition, highlighting works of the same superlative standard as presented all these years in the online edition, and, the recently released Able Muse Anthology (Able Muse Press, 2010).
. . . [ ABLE MUSE ] fills an important gap in understanding what is really happening in early twenty-first century American poetry. FEATURED ARTIST — Massimo Sbreni. MEMOIR (on R.P. Lister) — Steve Bucknell. FICTION — Nancy Lou Canyon, Emily Cutler, Marge Lurie. ESSAYS — Peter Filkins, Stephen Collington, Marilyn L. Taylor. BOOK REVIEWS — Julie Stoner, John Whitworth. POETRY — Catharine Savage Brosman, Catherine Tufariello, David Alpaugh, Ned Balbo, Steven Winn, Leslie Monsour, Rebecca Foust, Ted Mc Carthy, Gail White, J. Patrick Lewis, Kim Bridgford, Wendy Videlock, Peter Austin, Catherine Chandler, Diane Seuss, Susan McLean, Jamie Iredell, Maryann Corbett, John Slater, John Beaton, Gilbert Wesley Purdy, Frank Osen, Trina L. Drotar, Heather Hallberg Yanda, Richard Meyer, Kevin Corbett.